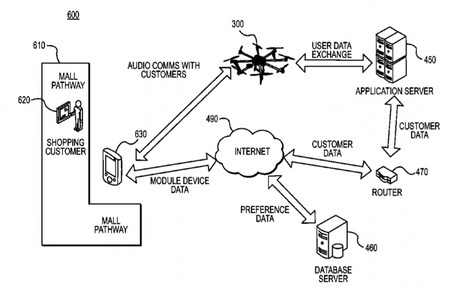 There are two essential components to the patent described in further below. The first component includes utilizing drones in various capacities of Warehouse Monitoring, Inventory Management, and and various logistics optimizations. 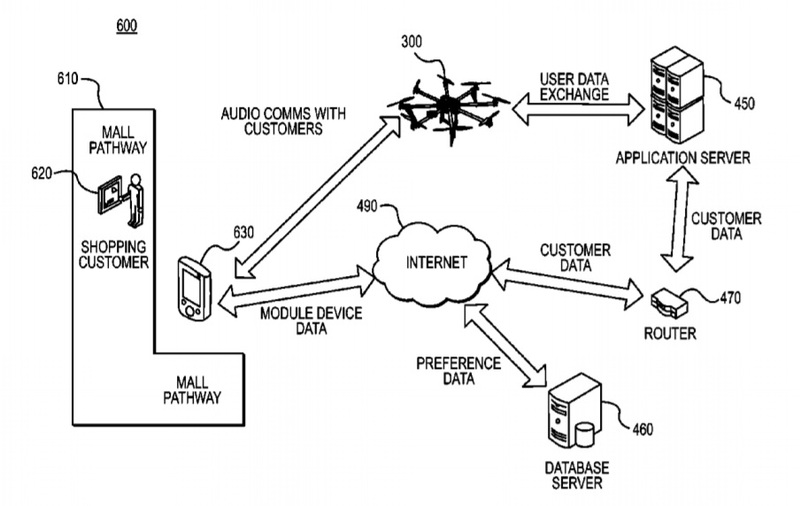 The second component of the patent covers direct marketing via drone technology utilizing opt-in software at the user level. Various exemplary embodiments relate to a drone. 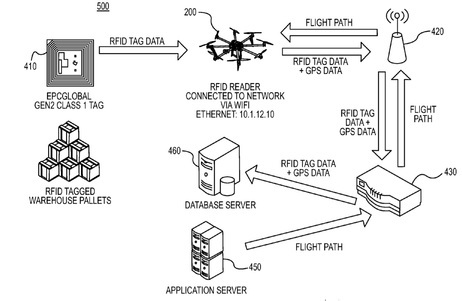 The drone may include: a navigation unit configured to determine the location of the drone and navigate the drone to designated locations; a radio frequency identification (RFID) reader configured to read RFID tag information from RFID tags; and a wireless network transceiver configured to periodically transmit the location of the drone and RFID tag information to an inventory management system. Various exemplary embodiments relate to a method performed by a drone. 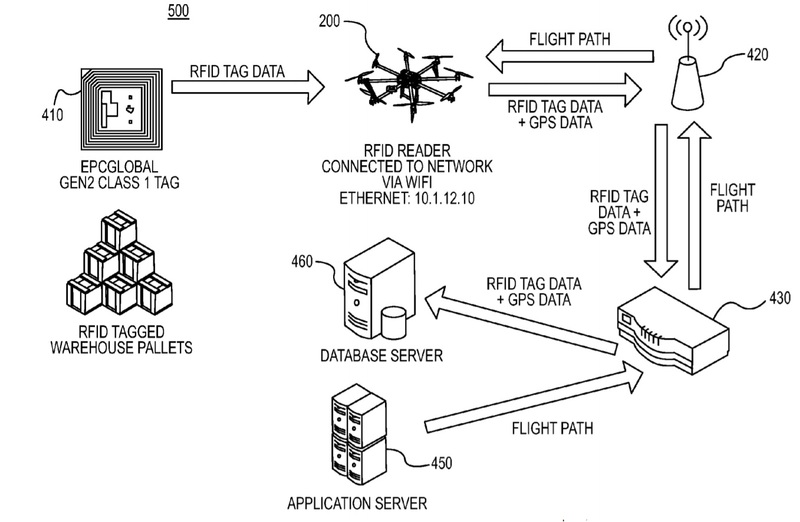 The method may include: receiving navigation path information; navigating the drone along the navigation path based on satellite location signals; determining current position information based on the satellite location signals; reading RFID tag information from a first RFID tag; and transmitting the RFID tag information and the current position information via a wireless client to a central computing system.